What is FSC Certified Furniture? Credible forest certification involves an independent, third-party system of inspection and tracking of timber and other forest products to ensure that forests are managed in a way that preserves ecosystems, biodiversity, and water quality; that respects the rights of workers, indigenous peoples, and forest dependent communities; and that is lawful and economically viable over the long term. Correctly implemented forest certification adds value to forests and provides consumers with the opportunity to make responsible choices through their purchases. The Forest Stewardship Council™ (FSC) is considered the “gold standard” in forest certification by the world’s leading environmental organizations.. The FSC was founded in 1993 by a broad coalition of indigenous groups, foresters and forest industry stakeholders, and other proponents of responsible forest management from around the world, including Greenpeace, The Nature Conservancy, the Sierra Club, the National Wildlife Federation, Friends of the Earth, Rainforest Action Network, the World Wildlife Fund, and other leading environmental organizations. Over the past decade, the FSC has established strict environmental and social standards for forest management, and has on-going programs to accredit and monitor certification organizations that evaluate on-the-ground compliance with these standards in forests around the world. FSC certifiers also perform audits to track the “chain of custody” of certified wood through the manufacturing process and to ensure that the rules for labeling final products with the FSC logo are followed. The FSC logo assures consumers that the products they purchase come from an industry that meets the social, economic and ecological needs of present and future generations. The purchase of products carrying the FSC logo directly supports the preservation of hundreds of millions of acres of forest around the world, and the tens of thousands of families who directly depend on them. To date, over 335 million acres of forest worldwide (roughly the area of California, Texas, and Arizona combined) have become FSC certified. FSC: HOW DOES IT WORK? Forests are certified according to FSC’s Principles and Criteria. Responsible management and harvesting practices are followed as trees are cut. A chain-of-custody (COC) paper trail is established. Harvested trees are transported to an FSC-certified mill, where logs are processed into FSC-certified lumber; COC continues. FSC-certified manufacturers use FSC-certified raw materials to make wood products; COC continues. Consumers purchase products with the FSC label; COC ends. Support for sound forest management grows, and the demand for FSC-certified products increases, each time this cycle is completed. Jensen Leisure Furniture products are made exclusively of 100% FSC-certified timbers. Jensen Leisure Furniture’s FSC chain-of-custody number is: RA-COC-003830. This number provides a means for the company to track your garden bench to the place in the forest where it originated. 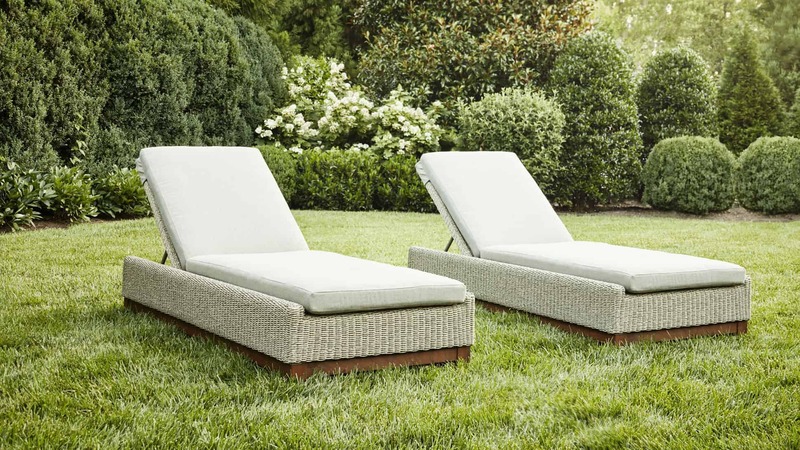 In 2010, Jensen Leisure Furniture was the only nationally significant brand awarded five stars (the highest rating awarded) by the National Wildlife Federation, for having carefully chosen garden furniture products for the 2010 season so that 100 percent of the tropical wood used in its products is FSC-certified and for their involvement in a program committed to FSC-certification.